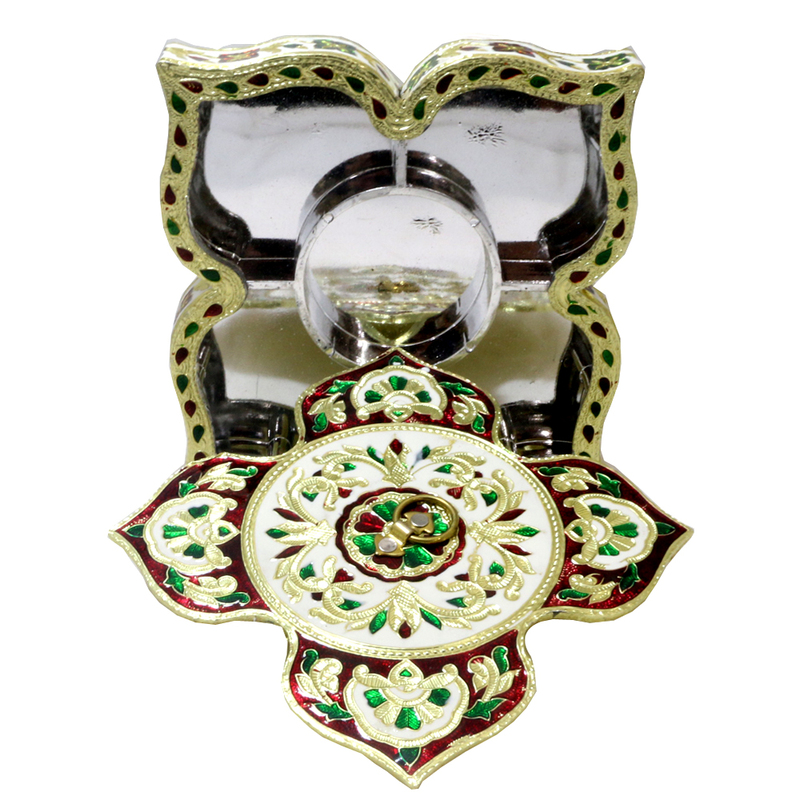 Uniquely designed and bewitchingly beautiful meenakari crafted box for variant use. This can bring smile to the face of your beloved if you gift them. 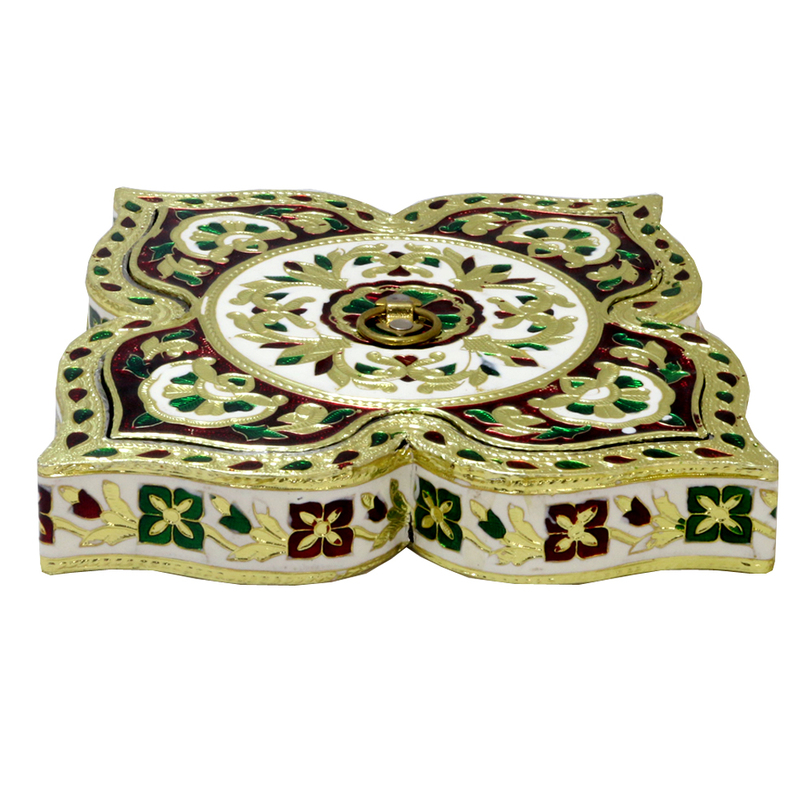 This specially shaped box made of wooden base & covered with metal lid with meenakari crafted on it is a scrupulous finesse from master craftsman. Read More..It could bring smile to your loved ones if you gift this to him/her. One will easily get captivated by gazing this on your dining table. Show Less..